Although Brushless Motors with Encoders have been available, the software used to control gimbals have only recently added support for Encoders. The new CAME-SINGLE with Encoder technology is truly advanced when compared to other systems. The CAME-SINGLE has a quick relase camera plate and is tool-less adjustments for easy and fast camera balancing. The size of the CAME-SINGLE is perfect for mirrorless cameras such as the Panasonic GH4, Sony A7s | A7RII, and BlackMagic Pocket Cinema Cameras. We have made changes to the CAME-SINGLE Battery. The original version required you to remove and recharge the batteries. The new version of the CAME-SINGLE has internal rechargeable batteries with higher Voltage built into the handle which allows for more power and stability to the system. This change allows the CAME-SINGLE to operate for up to 20 hours. New Encoder technology is more efficient. Batteries can operate up 20 hours when fully charged. Larger frame than most pistol-grip Gimbal Systems allows cameras to fully Tilt up and down. Larger motors when compared to other pistol-grip gimbals. 1/4"-20 thread mount on side of handle to support mounting a smartphone or monitor. 1/4" and 3/8" threaded mounts under handle; to attach the CAME-SINGLE to different equipment. 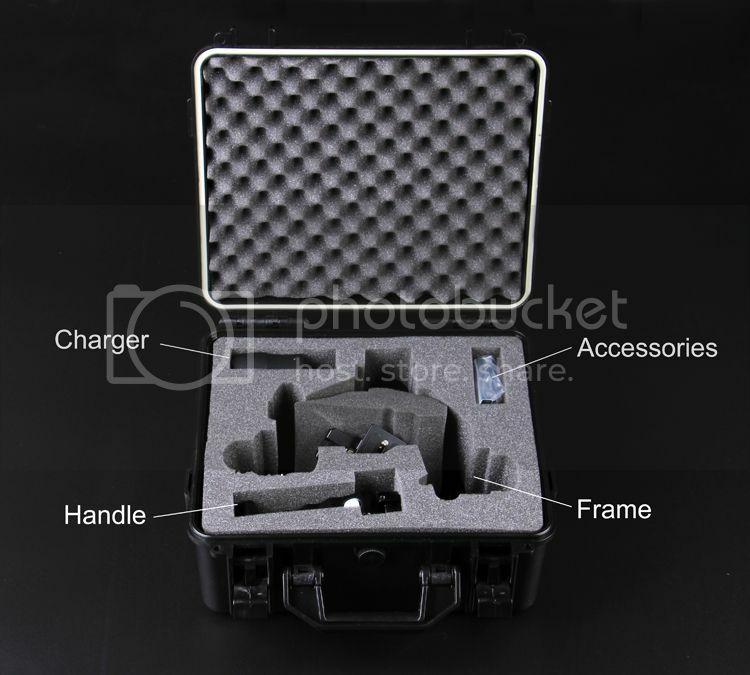 Comes with Hard Flight case with extra room to store your camera. Machined Aluminum Lightweight and Durable Build Quality. Max payload 1.2kg (2.6 lbs). 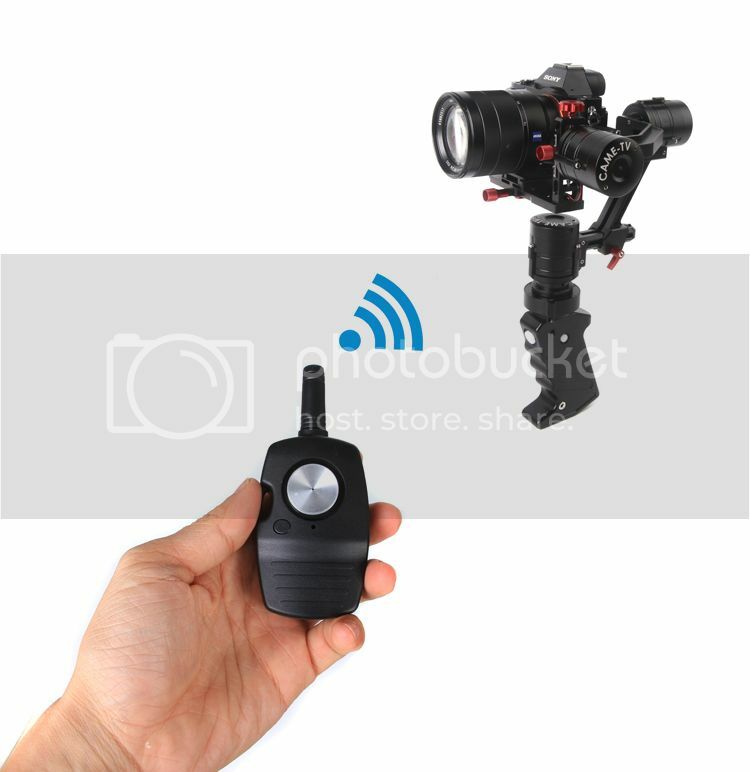 Works with Sony A7s, Panasonic GH4, BMPCC, etc. Personal View Test: Came Single Gimbal Video 1: Unboxing and overview from Dieter Knüttel on Vimeo. Caution: in the new models, the batteries are permanently installed. You have power for 20 hours. Personal View Test: Came Single Gimbal Video 2: Scenes taken in a car. from Dieter Knüttel on Vimeo. Personal View Test: Came Single Gimbal Video 3: Action Scenes with a dog from Dieter Knüttel on Vimeo.